A fourth Unreal Tournament game launched a couple of years ago. You’d be forgiven if you’d forgotten about it because – to all appearances – it seems Epic has, too. The game is available for free as a part of an off-the-wall, crowd-sourced development model, but the last official update was all the way back in July 2017. Now, Epic has confirmed that development is on hold. 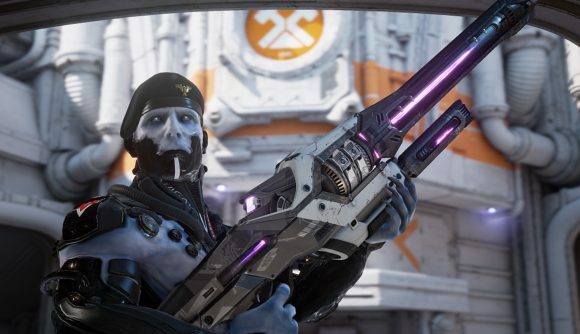 “Unreal Tournament remains available in the store but isn’t actively developed,” Epic boss Tim Sweeney confirms. That won’t likely won’t be a surprise – Epic’s shifting priorities over the past year have pretty much put every effort from the studio into supporting Fortnite – but a more proper acknowledgement of the hiatus is certainly appreciated. Unreal Tournament isn’t the only Epic project to go under as the company’s priorities shift. Action-MOBA Paragon suffered a similar fate, amidst that game’s own failures to grow and, in the words of community coordinator Edgar Diaz, “the humbling success of Fortnite.” Paragon’s end, however, was much more final. Check out the best FPS games on PC if you need to get your frags out. You’ll find the original Unreal Tournament on that list, and it may still be your best bet for classic arena shooting action.